Green Energy Tomorrow has signed an agreement with Dubai-based container terminal operator DP World to deliver the first phase of the largest rooftop solar project in the Middle East. The regionally focused rooftop solar specialist launched by Phanes Group secured the contract following a competitive tender process, it said in a statement. “This ground breaking project marks a significant turning point for the rapid scale up of distributed solar energy in the United Arab Emirates, laying down a blueprint for other major national and locally based international players to capitalize on the cost competitive nature of solar technology and a smart regulatory structure,” said Martin Haupts, CEO, Phanes Group. 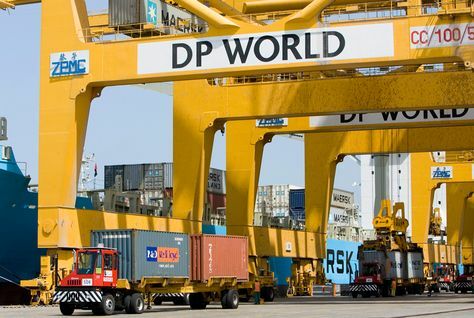 DP World, which operates the Jebel Ali terminal, first announced plans for the rooftop scheme in September last year. Launched in cooperation with Economic Zones World, a DP World subsidiary, it involves mounting photovoltaic (PV) panels on its Jebel Ali free zone (Jafza) buildings and parking sheds, and several of its cruise terminal buildings in Port Rashid. At the time DP World said the project would be implemented in phases, the first covering 19 rooftops in Jafza and their surrounding parking areas, six LIUs (Light Industrial Units) rooftops in Jafza and their surrounding parking areas, one warehouse and two Cruise Terminals Rooftops in Mina Rashid and their surrounding parking areas, in addition to ground-mounted panels for the main spine road in Jafza North. This will contribute to a total power generation capacity of 30-40 MWp. The project is part of Dubai Electricity and Water Authority’s (DEWA) Shams Dubai initiative to encourage the development of grid connected rooftop solar capacity. The initiative complements Dubai’s efforts to diversify energy sources and reduce energy demand by 30% by 2030.